Paul Smith and Doug Sewell have resurrected one of Doug' most successful Sewell amps”the Blistertone 50. The PRS Blistertone 50 tube amp head represents the evolution of Sewell' original design, released nearly a decade ago. This Blistertone 50 is a versatile, modern single channel amp that can give you clean to strong overdrive tones using your guitar' volume control. The cleans have a shimmer and sparkle reminiscent of higher wattage British amps. 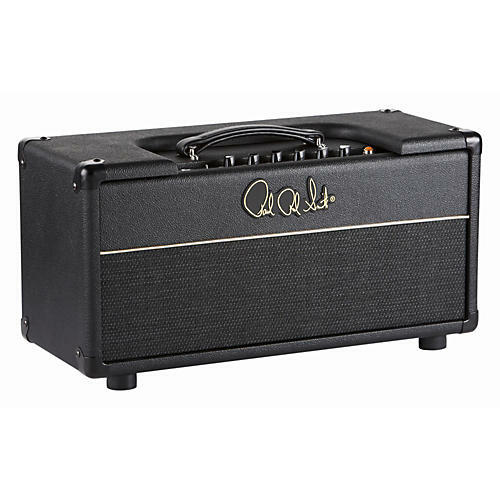 The overdrive tones are strong with carefully tailored, large lows that remain tight when pushed. The master volume is specially designed for overall volume, punch and clarity at lower settings. The tone stack (tone control circuitry) is unique to the Blistertone and allows a wide range of modern tone tweaking. Options include either reverb or an effects loop.